The consumption of insects as food, is accepted and practiced by many cultures around the world (Defoliart 1995; Nonaka 2009; Ramos-Elorduy 2009). As many as 3,071 ethnic groups in 130 countries (Ramos-Elorduy 2009) utilize insects as essential elements of their diet (Nations 2008; Srivastava et al. 2009; Yen 2009). In fact, it is estimated that as much as 80% of the world’s population eats insects intentionally, and 100% do unintentionally (Srivastava et al. 2009). Even in the United States there has been an increasing interest in entomophagy (Gahukar 2011; Nations 2008). HIGH NUTRIENT VALUE of INSECTS: Animals are important or even the sole source of numerous necessary nutrients such as the 8 essential amino acids, vitamin B12, riboflavin, the biologically active form of vitamin A (retinol, retinoic acid, and retinaldehyde) and several minerals (Bukkens 1997; Bukkens 2005; Hoppe et al. 2008; Michaelsen et al. 2009; Singh and Singh 1991). In particular, it is broadly accepted that animal-sourced dietary protein superior to that derived from plants (Babji et al. 2010; Hoppe et al. 2008; Michaelsen et al. 2009; Singh and Singh 1991). Insects can be grown highly efficiently and in many areas not amenable to dairy cattle and, thus, help provide a robust alternative to milk as well as a potential alternative income source for farmers. Insects present a substantial, yet extremely underexplored, alternative opportunity to provide much needed animal-sourced nutrients (Bukkens 1997; Bukkens 2005; Defoliart 1992; Gahukar 2011; Michaelsen et al. 2009). For example, insects are generally high in protein and fat at levels comparable to meat such as beef and milk (Table 2). As with beef and chicken, insects are a source of “complete” animal protein which is generally nutritionally superior to protein from plant sources (Hoppe et al. 2008; Michaelsen et al. 2009; Singh and Singh 1991). A review by Bukkens concludes that the amino acid composition of insects compares favorably with the reference standard recommended by UN FAO, WHO and UNU (United Nations University) (Bukkens 2005). Many insect species contain a higher portion of protein per 100g of dry weight (i.e. 68.7g for House Crickets) than ground beef (27.4g) or broiled cod fish (28.5g) (Gahukar 2011). Some estimate that the digestibility of flour made from insects is as high as 91% (Bukkens 1997). Insects are also particularly rich in fat (Table 2) (Bukkens 1997; Bukkens 2005; Defoliart 1992; Finke 2012; Gahukar 2011), and, thus, can supply a high caloric contribution for such energy dense foods (Table 2). In the reviews by Bukkens, all insect species were found to be a “significant source of the essential fatty acids linoleic and linolenic acid” (Bukkens 1997; Bukkens 2005). Some insects can also provide a higher caloric contribution to the diet than soy, maize and beef (Gahukar 2011). Insects are also particularly high in omega 3 fatty acids (Table 2). Additionally, many insect species are significantly higher in thiamin and riboflavin than whole meal bread and hen’s eggs (Bukkens 1997; Bukkens 2005). Retinol (a biologically active form of vitamin A) and Î²-carotene content of many insect species is also high, with levels in some species as high as 356 Î¼g/kg and 1,800 Î¼g/kg, respectively (Bukkens 2005). SUSTAINABLE PROTEIN SOURCE: As the human population grows, it is ever more important to decrease our levels of consumption and harvesting materials from the planet and its ecosphere. The world adds about 70 million people each year. The United Nations expects the population to grow to more than 9 billion people by 2050, adding approximately twice the current population of China (Dzamba 2010; Safina 2011; Vogel 2010). Humans consume roughly 40% of the biomass that the land and the coastal seas produce (Safina 2011). Approximately 70% of agricultural land, and 30% of the total land on earth, is used to raise livestock (Steinfeld et al. 2006). Expanding the amount of land used for livestock production is neither a feasible nor a sustainable solution to cover the food/protein needs of the projected increases in population. Thus, it is important to use sources of high quality animal protein which reduce the amount of pollution, habitat destruction and abuse of natural resources. We cannot rely on food production strategies utilizing livestock such as cattle to feed our growing population. About 70% of agricultural land, and 30% of the total land on earth, is used to raise livestock (Steinfeld et al. 2006). Insects are a promising source of high quality animal protein with a substantially lower ecological footprint than vertebrate livestock (Dossey 2013, Shockley and Dossey 2014, van Huis et. al. 2013). Increased utilization of insects in food products rather than ingredients from vertebrae livestock will significantly reduce the human impact on the natural environment, including our contribution to climate change. However, new technologies for improving food security, such as production and processing insects as human food, take some time for application on large scale, so it is important to make investments in these innovations sooner rather than later (Gahukar 2011). Insects have numerous attributes which make them highly attractive, yet underexplored sources of highly nutritious and sustainable food. The general categories where insects provide the most substantial benefits for a sustainable and secure food supply are: 1) efficiency and 2) diversity. EFFICIENCY: Insects can be produced more sustainably and with much smaller ecological footprint than most vertebrate livestocks such as cattle and swine (Dossey 2013, Shockley and Dossey 2014, van Huis et. al. 2013). They are very efficient at biotransformation of a wide variety of organic matter into edible insect body mass (eg: a high feed conversion ratio) (Nakagaki and Defoliart 1991; Oonincx et al. 2010). Cows consume 8 grams of mass to gain 1 gram in weight, whereas insects can require less than two (Vogel 2010). This is partly due to insects being poikilothermic (“cold blooded”), thus using less energy for body warmth (Premalatha et al. 2011). House crickets (Acheta domesticus) have an “efficiency of conversion of ingested food” (ECI) that is twice that of pigs and chickens, 4 times that of sheep and 6 times that of steer (Capinera 2004; Gahukar 2011). This efficiency leads to less usage of pesticides on animal feed, thus providing additional environmental, health and economic incentives. Compared to all other animals on earth, insects are substantially more prolific (higher fecundity) and have shorter life spans, so they can be grown rapidly. For example, house crickets can lay 1,200-1,500 eggs in a 3-4 week period, whereas beef cattle require about 4 breeding animals for each animal marketed (Capinera 2004; Gahukar 2011). Insect production also uses much less water than vertebrate livestock (Capinera 2004) (Table 1). Insects also give off lower levels of greenhouse gases than do cows (Oonincx et al. 2010). Additionally, many insects can eat non-human food plants or agricultural byproducts, thus they don’t compete with the human food supply like vertebrate livestock such as cows, chickens and pigs. BIODIVERSITY: The UN FAO estimates that there are well over 1,000 edible insects currently used (Vogel 2010), and others estimate that number to be over 2,000 (Ramos-Elorduy 2009; RamosElorduy 1997). There are over 1 million species described and 4-30 million species estimated to exist on earth, living in every niche inhabited by humans and beyond (Dossey 2010). With this diversity and their collective reproductive capacity, they are a lot safer bet for future food security than are vertebrate animals. Development of more diversity in animal livestock/protein sources is critical to human food security going forward. For example, since there are insects of some sort on nearly every patch of land on earth, chances are that some local species in every area can be farmed as human food without transporting non-native species into the area for the same purpose. Additionally, the large numbers of edible species mean that an insect farm affecting their initial species can likely switch to another species which is resistant, which has already been done at some US cricket farms. CLEAN PROTEIN FROM INSECTS: Salmonella spp. and Listeria monocytogenes in samples of the following commercially farmed cricket and mealworm species: (Zoophobas morio, Tenebrio molitor, Galleria mellonella, and Acheta domesticus) (Giaccone 2005). Additionally, to date, All Things Bugs LLC has not found Eschericha coli, Salmonella sp., Staphylococcus aureus, or Listeria sp. in any of several shipments of raw frozen insects from some of the largest US cricket and mealworm farms, and coliform/total plate count is reasonably low. Also, pasteurization appears to reduce total plate count to very low and possibly nearly sterile levels. Additionally, insects are biologically more separated from humans than vertebrate livestock, so the risk of an insect viral pathogen or parasite jumping to humans is exceedingly low (van Huis et al., 2013). Thus, pathogen risk appears to be very low for farmed insects. A STRATEGIC LOOK AT PROTEIN. 2014. newhope 360 from supply to shelf, [blog] October 24, 2013, Available at: http://newhope360.com/print/news/strategic-look-protein [Accessed: 13 Feb 2014]. ANSC.PURDUE.EDU. 2014. Purdue Food Animal Education Network. [online] Available at: http://www.ansc.purdue.edu/faen/dairy%20facts.html [Accessed: 13 Feb 2014]. BABJI AS, FATIMAH S, GHASSEM M, and ABOLHASSANI Y. 2010. Protein quality of selected edible animal and plant protein sources using rat bio-assay. International Food Research Journal 17:303-308. BHUTTA ZA, AHMED T, BLACK RE, COUSENS S, DEWEY K, GIUGLIANI E, HAIDER BA, KIRKWOOD B, MORRIS SS, SACHDEV HP, and SHEKAR M. 2008. What works? Interventions for maternal and child undernutrition and survival. Lancet 371:417-40. BLACK RE, ALLEN LH, BHUTTA ZA, CAULFIELD LE, DE ONIS M, EZZATI M, MATHERS C, and RIVERA J. 2008. Maternal and child undernutrition: global and regional exposures and health consequences. Lancet 371:243-60. BLACK RE, MORRIS SS, and BRYCE J. 2003. Where and why are 10 million children dying every year? Lancet 361:2226-34. BONDARI K, and SHEPPARD DC. 1981. Soldier Fly Larvae as Feed in Commercial Fish Production. Aquaculture 24:103-109. BUKKENS SGF. 1997. The nutritional value of edible insects. Ecology of Food and Nutrition 36:287-319. BUKKENS SGF. 2005. Insects in the human diet: nutritional aspects. In: Ecological implications of minilivestock : potential of insects, rodents, frogs, and snails. Paoletti MG, editor. Enfield, (NH): Science Publishers. p 545-577. CAPINERA JL. 2004. Encyclopedia of entomology. Dordrecht ; London: Kluwer Academic. CAULFIELD LE, DE ONIS M, BLOSSNER M, and BLACK RE. 2004. Undernutrition as an underlying cause of child deaths associated with diarrhea, pneumonia, malaria, and measles. Am J Clin Nutr 80:193-8. CDC.GOV. 2014. Nutrition for Everyone: Basics: Protein | DNPAO | CDC. [online] Available at: http://www.cdc.gov/nutrition/everyone/basics/protein.html [Accessed: 13 Feb 2014]. COLLINS S, DENT N, BINNS P, BAHWERE P, SADLER K, and HALLAM A. 2006. Management of severe acute malnutrition in children. Lancet 368:1992-2000.
COOPER A. 2007. A Life Saver Called “Plumpynut”. 60 Minutes: CBS. CRABBE N. 2012 May 10, 2012. Local expert gets funding to develop insect-based food for starving children. Gainesville Sun;1B-6A. DEFOLIART G. 1992. Insects as Human Food. Crop Protection 11:395-399. 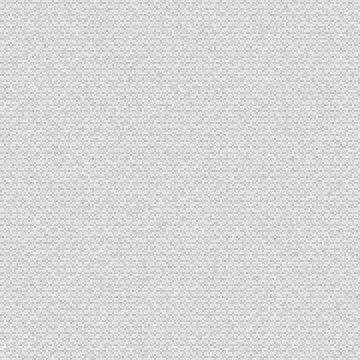 DEFOLIART GR. 1995. Edible Insects as Minilivestock. Biodiversity and Conservation 4:306-321. DOLSON L. 2014. Protein Info – How Much Protein Do You Need. [online] Available at: http://lowcarbdiets.about.com/od/nutrition/a/protein.htm [Accessed: 13 Feb 2014]. DOSSEY AT. 2013 . Why insects should be in your diet. The Scientist. 27, 22 – 23. DOSSEY AT. 2010. Insects and their chemical weaponry: new potential for drug discovery. Nat Prod Rep 27:1737-57. DUGGAN C, WATKINS JB, and WALKER WA. 2008. Nutrition in pediatrics: basic science, clinical application. Hamilton: BC Decker. xvii, 923 p. p.
DZAMBA J. 2010. Third Millennium Farming: Is it time for another farming revolution? Architecture, Landscape and Design. Toronto, CA: http://www.thirdmillenniumfarming.com/. EARTH-POLICY.ORG. 2014. Bookstore – Plan B 2.0: Rescuing a Planet Under Stress and a Civilization in Trouble | Chapter 9. Feeding Seven Billion Well: Producing Protein More Efficiently| EPI. [online] Available at: http://www.earth-policy.org/books/pb2/pb2ch9_ss4 [Accessed: 13 Feb 2014]. FINKE MD. 2002. Complete nutrient composition of commercially raised invertebrates used as food for insectivores. Zoo Biology 21:269-285. FINKE MD. 2012. Complete Nutrient Content of Four Species of Feeder Insects. Zoo Biol Available Online as of June 11, 2012. GAHUKAR RT. 2011. Entomophagy and human food security. International Journal of Tropical Insect Science 31:129-144. GIACCONE V. 2005. Hygiene and health features of Minilivestock. In: Paoletti MG, editor. Ecological implications of minilivestock: potential of insects, rodents, frogs and snails. Enfield, N.H.: Science Publisher. p 579-98. GOLDEN M. 1988. The effects of malnutrition in the metabolism of children. Trans R Soc Trop Med Hyg 82:3-6. GOLDEN MH, WATERLOW JC, and PICOU D. 1977. Protein turnover, synthesis and breakdown before and after recovery from protein-energy malnutrition. Clin Sci Mol Med 53:473-7. HOPPE C, ANDERSEN GS, JACOBSEN S, MOLGAARD C, FRIIS H, SANGILD PT, and MICHAELSEN KF. 2008. The use of whey or skimmed milk powder in fortified blended foods for vulnerable groups. Journal of Nutrition 138:145S-161S. ISANAKA S, NOMBELA N, DJIBO A, POUPARD M, VAN BECKHOVEN D, GABOULAUD V, GUERIN PJ, and GRAIS RF. 2009. Effect of preventive supplementation with ready-to-use therapeutic food on the nutritional status, mortality, and morbidity of children aged 6 to 60 months in Niger: a cluster randomized trial. JAMA 301:277-85. KATAYAMA N, ISHIKAWA Y, TAKAOKI M, YAMASHITA M, NAKAYAMA S, KIGUCHI K, KOK R, WADA H, MITSUHASHI J, and FORCE SAT. 2008. Entomophagy: A key to space agriculture. Advances in Space Research 41:701-705. KLUNDER HC, WOLKERS-ROOIJACKERS J, KORPELA JM, NOUT MJR. 2012. Microbiological aspects of processing and storage of edible insects. Food Control. 26(2):628-631. LANCET T. 2007. Ready-to-use therapeutic foods for malnutrition. Lancet 369:164. MANARY MJ, NDKEHA MJ, ASHORN P, MALETA K, and BRIEND A. 2004. Home based therapy for severe malnutrition with ready-to-use food. Arch Dis Child 89:557-61. MANARY MJ, and SANDIGE HL. 2008. Management of acute moderate and severe childhood malnutrition. BMJ 337:a2180. MICHAELSEN KF, HOPPE C, ROOS N, KAESTEL P, STOUGAARD M, LAURITZEN L, MOLGAARD C, GIRMA T, and FRIIS H. 2009. Choice of foods and ingredients for moderately malnourished children 6 months to 5 years of age. Food Nutr Bull 30:S343-404. MONTANABEEFCOUNCIL.ORG. 2014. Montana Beef Council – Beef Trivia. [online] Available at: http://www.montanabeefcouncil.org/beeftrivia.aspx [Accessed: 13 Feb 2014]. NAKAGAKI BJ, and DEFOLIART GR. 1991. Comparison of Diets for Mass-Rearing Acheta domesticus (Orthoptera: Gryllidae) as a Novelty Food, and Comparison of Food Conversion Efficiency with Values Reported for Livestock. Journal of Economic Entomology 84:891-896. NATIONS FAAOOTU. Forest Insects as Food: Humans Bite Back. In: Patrick B. Durst DVJ, Robin N. Leslie and Kenichi Shono, editor; 2008; Chiang Mai, Thailand. Regional Office for Asia and the Pacific. NEUMANN CG, BWIBO NO, MURPHY SP, SIGMAN M, WHALEY S, ALLEN LH, GUTHRIE D, WEISS RE, and DEMMENT MW. 2003. Animal source foods improve dietary quality, micronutrient status, growth and cognitive function in Kenyan school children: background, study design and baseline findings. Journal of Nutrition 133:3941S-3949S. NEWS.CORNELL.EDU. 2014. U.S. could feed 800 million people with grain that livestock eat, Cornell ecologist advises animal scientists | Cornell Chronicle. [online] Available at: http://www.news.cornell.edu/stories/1997/08/us-could-feed-800-million-people-grain-livestock-eat [Accessed: 19 Feb 2014]. NONAKA K. 2009. Feasting on insects. Entomological Research 39:304-312. O’TOOLE J. 2011. Peanut butter prices skyrocketing. CNN Money. New York City, NY, USA: CNN Money. OONINCX DG, VAN ITTERBEECK J, HEETKAMP MJ, VAN DEN BRAND H, VAN LOON JJ, and VAN HUIS A. 2010. An exploration on greenhouse gas and ammonia production by insect species suitable for animal or human consumption. PLoS One 5:e14445. PATEL MP, SANDIGE HL, NDEKHA MJ, BRIEND A, ASHORN P, and MANARY MJ. 2005. Supplemental feeding with ready-to-use therapeutic food in Malawian children at risk of malnutrition. J Health Popul Nutr 23:351-7. PELLETIER DL, and FRONGILLO EA. 2003. Changes in child survival are strongly associated with changes in malnutrition in developing countries. Journal of Nutrition 133:107-19. PIMENTEL D and PIMENTEL M. 2003. Sustainability of meat-based and plant-based diets and the environment. 78 (3), pp. 660S-663S. Available at: http://ajcn.nutrition.org/content/78/3/660S.full [Accessed: 13 Feb 2014]. POPA R, and GREEN TR. 2012. Using black soldier fly larvae for processing organic leachates. J Econ Entomol 105:374-8. PREMALATHA M, ABBASI T, ABBASI T, and ABBASI SA. 2011. Energy-efficient food production to reduce global warming and ecodegradation: The use of edible insects. Renewable & Sustainable Energy Reviews 15:4357-4360. RAMOS-ELORDUY J. 2009. Anthropo-entomophagy: Cultures, evolution and sustainability. Entomological Research 39:271-288. RAMOSELORDUY J. 1997. Insects: A sustainable source of food? Ecology of Food and Nutrition 36:247-276. REID M, BADALOO A, FORRESTER T, HEIRD WC, and JAHOOR F. 2002. Response of splanchnic and whole-body leucine kinetics to treatment of children with edematous protein-energy malnutrition accompanied by infection. Am J Clin Nutr 76:633-40. RICE AL, SACCO L, HYDER A, and BLACK RE. 2000. Malnutrition as an underlying cause of childhood deaths associated with infectious diseases in developing countries. Bull World Health Organ 78:1207-21. SAFINA C. 2011. Why are we using up the Earth? CNN Opinion: Carbon Dioxide. New York: CNN. SANDIGE H, NDEKHA MJ, BRIEND A, ASHORN P, and MANARY MJ. 2004. Home-based treatment of malnourished Malawian children with locally produced or imported ready-to-use food. J Pediatr Gastroenterol Nutr 39:141-6. SCHOFIELD C, and ASHWORTH A. 1996. Why have mortality rates for severe malnutrition remained so high? Bull World Health Organ 74:223-9. 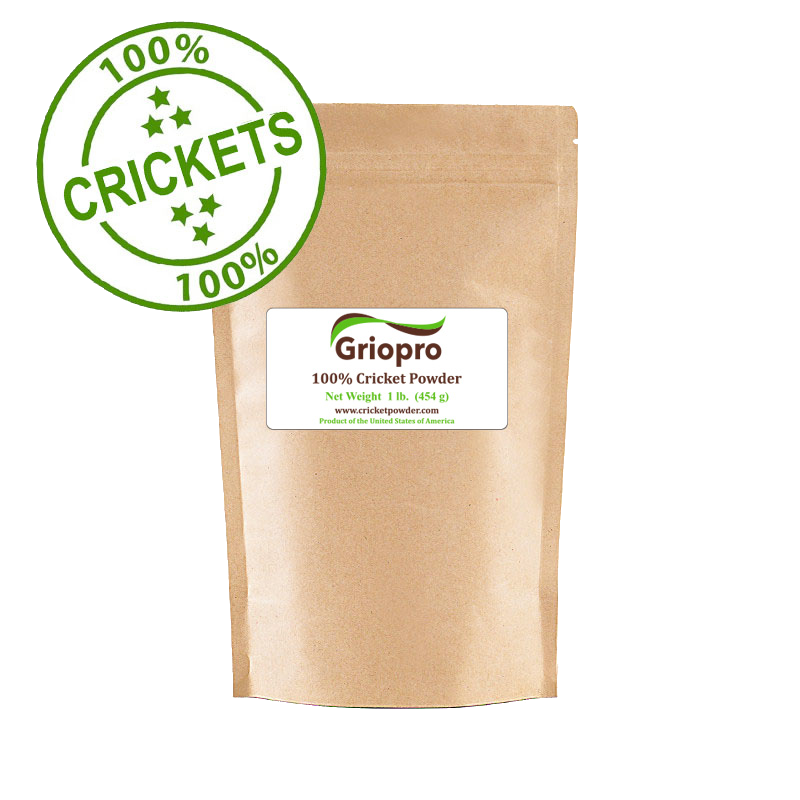 Schultz, H. 2014, Process tweak yields a superior cricket protein, developer says, FoodNavigator, http://www.nutraingredients-usa.com/Suppliers2/Process-tweak-yields-a-superior-cricket-protein-developer-says . SHEPPARD DC, TOMBERLIN JK, JOYCE JA, KISER BC, and SUMNER SM. 2002. Rearing methods for the black soldier fly (Diptera: Stratiomyidae). J Med Entomol 39:695-8. SHOCKLEY M and DOSSEY AT. 2014. 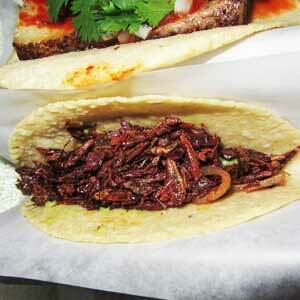 Insects for Human Consumption. ; In Mass Production of Beneficial Organisms Invertebrates and Entomopathogens; Juan A. Morales-Ramos, M. Guadeluoe Rojas and David I. Shapiro-Ilan (Eds.). 18:617-652. SINGH B, and SINGH U. 1991. Peanut as a Source of Protein for Human Foods. Plant Foods for Human Nutrition 41:165-177. SMITH A. 2012. Get ready to pay more for your steak. CNN Money. New York City, NY, USA: CNN Money. SRIVASTAVA SK, BABU N, and PANDEY H. 2009. Traditional insect bioprospecting – As human food and medicine. Indian Journal of Traditional Knowledge 8:485-494. STEINFELD H, GERBER P, WASSENAAR TD, CASTEL V, ROSALES M M, HAAN CD, FOOD AND AGRICULTURE ORGANIZATION OF THE UNITED NATIONS., and LIVESTOCK ENVIRONMENT AND DEVELOPMENT (FIRM). 2006. Livestock’s long shadow : environmental issues and options. Rome: Food and Agriculture Organization of the United Nations. xxiv, 390 p. p.
TORJESEN K, and OLNESS K. 2009. International child health: state of the art. Curr Probl Pediatr Adolesc Health Care 39:192-213. TYLER T. 2014. Global Food Reserves Lowest in 40 Years. [online] Available at: http://planetsave.com/2012/10/19/global-food-reserves-lowest-in-40-years/ [Accessed: 13 Feb 2014]. UNICEF SD. 2011. Supply Annual Report 2011. Copenhagen, Denmark. VAN HUIS A., ITTERBEECK J. V., KLUNDER H., MERTENS E., HALLORAN A., MUIR G., VANTOMME P., FOOD, AND AGRICULTURE ORGANIZATION OF THE UNITED N. 2013. Edible insects : future prospects for food and feed security. 187 p. Food and Agriculture Organization of the United Nations, Rome. VANTOMME P, MERTENS E, VAN HUIS A, and KLUNDER H. 2012. Assessing the Potential of Insects as Food and Feed in assuring Food Security. Rome, Italy: United Nations Food and Agricultural Organization. VICTORA CG, ADAIR L, FALL C, HALLAL PC, MARTORELL R, RICHTER L, and SACHDEV HS. 2008. Maternal and child undernutrition: consequences for adult health and human capital. Lancet 371:340-57. VOGEL G. 2010. For More Protein, Filet of Cricket. Science 327:811-811. WAGSTAFF A, and WATANABE N. 1999. Socioeconomic Inequalities in Child Malnutrition in the Developing World (World Bank Policy Research Working Paper No. 2434). In: Bank W, editor. WARDLAW GM. 2006. Contemporary nutrition. [S.l. ]: Mcgraw-Hill. WATERFOOTPRINT.ORG. 2014. Waterfootprint.org: Water footprint and virtual water. [online] Available at: http://www.waterfootprint.org/?page=files/Animal-products [Accessed: 19 Feb 2014]. YEN AL. 2009. Entomophagy and insect conservation: some thoughts for digestion. Journal of Insect Conservation 13:667-670. I am hooked, and highly recommend this product to anyone who will listen!